Meknes is another Moroccan imperial city with a mix of a new and an old Medina. It was the capital of the Idrisid dynasty from 788 to 974. Sightseeing includes Moulay Ismail mausoleum, the basin Swani, the Jewish cemetery and the old cereal stores. We drive to Fez past the ruins of Volubilis. We spend the night in a riad. Here, time will be devoted to explore Merzouga and its suburbs. We tour the sandy dunes of Erg Chebbi which stretches on an area of 50 kilometers from north to south and up to 5–10 kilometers from east to west lining the Algerian border. This natural gift inspires locals and guests with its 150 meters high dunes. You will enjoy the beautiful sunrise and sunset. In the same day, we meet nomad families who take care of their sheep and camels. They live in tents and they depend on grazing to win a living. We head, then, to Rissani to visit the local market and to explore the ancient villages. Nearby Merzouga, we listen to Gnawa music. We drive back to the hotel to start the camel trekking. You ride your camel to the bivouac where you will have a chicken Tajine and you sleep under wool tents. Meanwhile, you will enjoy the Berber music with our team and a superb view of the starry sky. Sleep well! Today, we will visit Ramlia, a remote village in the middle of desert and a place where you will meet the nomad people and experience the real rural Morocco and enjoy a very small oasis. We will also go through some Berber villages and visit places where stones and fossils are dug out. You will enjoy endless silence, except the birds that sing. You will discover the fauna and flora of the Sahara desert. We spend the night in a local guest house. We leave to Kelaa Mgouna. We stop in Tinjdad for lunch. In the afternoon, we continue to Tinghir and in our way we take a look at the amazing Todgha Gorge, a popular destination for rock climbers. They are cliffs that rise up to 300 meters among which a crystal-clear river flows. The palm groves stretch along the river giving a unique view. Kelaa Mgouna is a city in the Dades Valley and it is famous for one thing: roses. If you visit it during late April or the first week in May, you can observe the annual rose festival. There are many opportunities around Kalaat Mgouna to simply enjoy nature. It is possible to go for a short walk or a much longer hike in the mountainous terrain. Night will be spent in a hotel in Kelaa Mgouna. After breakfast, we head to the small mountainous village of Imlil. It is the center of mountain tourism in Morocco due to its unique position. From here, tourists head up to Toubkal, the highest mountain in Morocco. We take the time to enjoy the enchanting views of the enclosed valley. We meet local people and see discover some of their rituals and traditions. We have lunch at a local restaurant. We spend the night in a guest house. After breakfast we depart to Essaouira which is less than 3 hours from Marrakech. 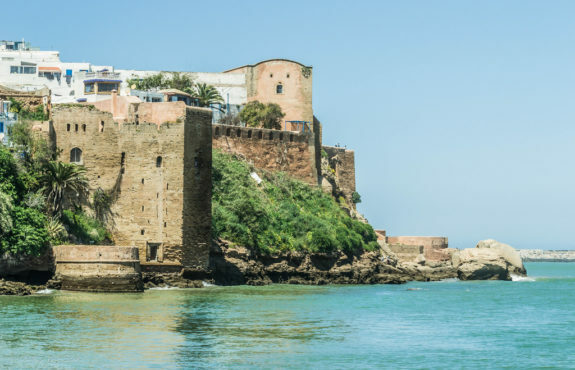 Essaouira is a charming and vibrant port and resort town on the Atlantic Ocean. It is known as the Wind City of Africa. It attracts plenty of windsurfers between April and November. Today, you will enjoy your time walking in the Medina. The visit includes also the beautiful beach and the port where you will taste appetizing fish dishes. We spend the night in a hotel. After Breakfast, and at the appropriate time, we transfer you to the airport. Farewell!